Glen Durrant has been drafting his resignation letter with a heavy heart. After 30 years as a housing manager responsible for the running of 15,000 social houses, he is leaving behind a job that has given him security, responsibility and happiness. It has been difficult for Durrant to tell his employers that he must leave, but as they have for three decades, they have supported him. "I will become a full-time darts player for the first time in my life," he told Sky Sports. "If I leave my job, it will be an extremely sad day. But I can't take on these players when I've got a stressful 50-hour per week job." I can't take on these players when I've got a stressful 50-hour per week job. Durrant, aged 48, has been the BDO's best player for five years and its world champion for the past three. But now he embarks on an altogether more exciting challenge and a more difficult pursuit in the PDC. Last month Durrant persevered through Q-School, a gruelling four-day test of talent and temperament to earn the coveted Tour Card. Nineteen players out of 397 entrants went home with a prize, and Durrant was one of the last to do so. At the weekend he was exposed to life the highs and lows of life on the Pro Tour; an elimination in the first round on Saturday in Wigan was followed by a brilliant run to the final on Sunday where he was beaten by Dave Chisnall. Entry to the Tour means that Durrant is financially enabled to leave behind the nine-til-five rat race and concentrate on his arrows. As a PDC player, he can challenge to enter the World Championship, Premier League and World Matchplay - but he will be starting from nothing and will need to build his prize to qualify. Gary Anderson's withdrawal from Premier League Darts opened the door to nine 'contenders' to play one game each - Durrant steps in on Thursday, live on Sky Sports in Glasgow, against Daryl Gurney. "They have got £14,15 million to play for, the chance to change their lives," PDC chairman Barry Hearn said. 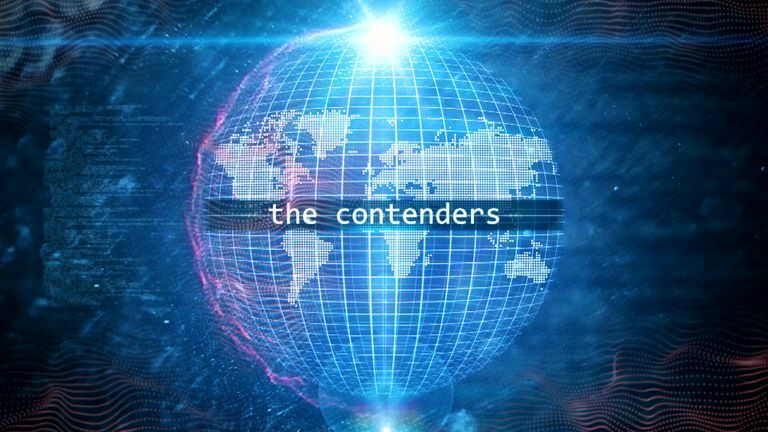 We take a look at the nine contenders joining Premier League Darts for the 2019 season. But it nearly slipped through Durrant's fingers. As one of the most high-profile players at Q-School, he was beaten on each of the first three days before rallying back with his final chance. "It is a month I will never forget. On January 1 I thought: this month could change my life," he said. "I acclimatised myself by going to some Pro Tours as a spectator. I'm glad I did because I had scrutiny and eyeballs on my games. I lost to people that I normally expect to beat. "I was down, and nearly out. "I had a really good Friday night with the Brazilian player Diogo Portela - we had great fun - then I woke up on Saturday morning with a message from my wife telling me to use some Teesside steel. I was in my comfort zone and, in the end, disappointed not to win outright. "Diogo and I had a great laugh. He said: 'Glen you're the best player here. Go and win it'. I gained a friend in him." As the three-time BDO champion Durrant carries a reputation of someone who might become a major threat among the big boys of the PDC. His Q-School rivals knew this. "A target on my back is something I deal with well, it's nothing new to me," Durrant said. "I was in a lose-lose situation because, as a world champion, because expected me to go straight through on the first day. But I'm proud of showing resilience, and proud to be a professional darts player. "I was very happy in the BDO but people said: 'well done for your championship but how would you do against Michael van Gerwen?'" 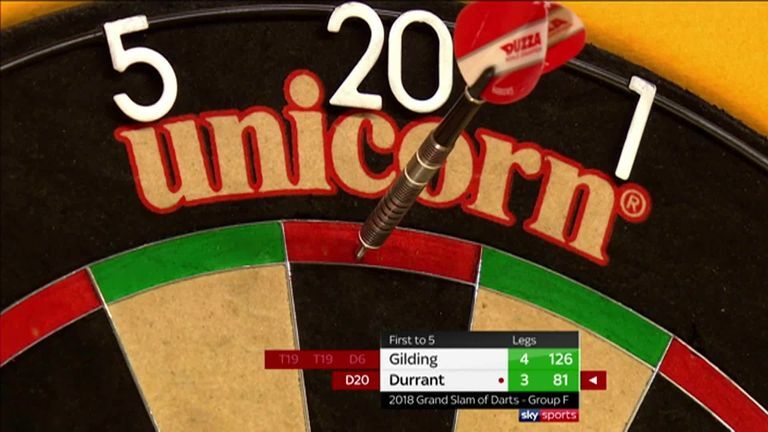 Durrant must now answer that question, beginning with his Premier League bow against No 5 ranked Gurney. To put his ability into perspective, he reached the quarter-finals of the 2017 Grand Slam of Darts (the annual tournament which welcomes PDC and BDO players). "It's hard to quantify because I start in the PDC rankings at the bottom," he said, considering his new rivals. "I am looking at being in top 16 by the end of my two years. I'm not ready to beat Van Gerwen on a daily basis - like the FA Cup I might beat him in a one-off. "I have beaten Dave Chisnall and Peter Wright in the Grand Slam. I'm trying to keep my feet on the ground and I haven't yet thought about the ramifications of being a PDC player. "My honest assessment is that I don't know where I'm at." There will eyeballs on Durrant's progress, as there have been for the past few years as he carved out a name for himself as the best player outside of the PDC. Typically he will shun any attention: "I'm hoping that dies down quickly." In the meantime, Durrant must regretfully finish his resignation letter from the job that he leaves behind. Durrant said: "I will become fitter and healthier because part of my practice regime will now be about getting stronger, physically and mentally. I will do swimming and gym work. Instead of practicing one hour in the morning, it will be structured into a session in the morning and a session in the evening. If I’m taking on the big boys I need to be prepared."